As I get older, I mean , I’m in my late thirties now. Very late thirties. So the fine lines have started showing and not to mention the grays all over my forehead. So, anti-wrinkle creams are kind of starting to matter to me now. And when Beauty Bulletin asked me to review the Lo’real Revitalift anti-wrinkle cream, I could not help it but say yes. They sent me the SPF 30 day cream and night cream to try out. I did a patch test on my underarm which I think is just as sensitive as my face. And once I was sure that I was not going to react negatively to the cream, I went ahead and used it exclusively since mid November to this day. I posted my first impressions of the products sent to me after about a week in. Here is the video below. 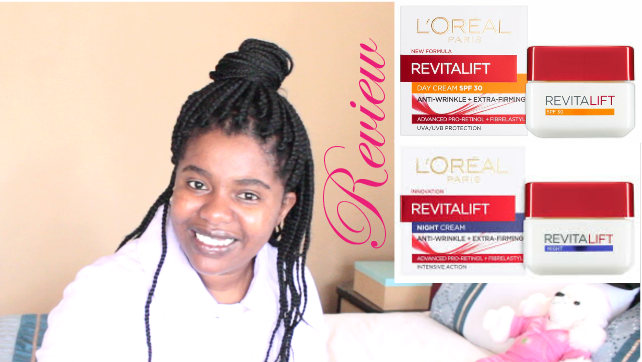 And now, since I have used the Lo’real revitalift anti-wrinkle and firming cream for over 4 weeks, I posted the full review below of what I think about these products. In a nutshell, I like them. I am so converted I will be getting myself the day cream once what I still have in the jar is used up. Please don’t forget to subscribe to my channel if you are not subscribed yet and click on notifications so that you are notified every time I upload a video. Please also let me know which videos add value to you so that I do more of those. I would not be making any videos if not for you. Keep laughing, smiling and loving. This world needs more of that.